Schwartz has a stock answer for each one of them. "I always tell them that whatever I think of the idea is irrelevant," Schwartz says. "I have seen the best startup ideas falter for a number of reasons." Schwartz runs Alfa Jango, an Ann Arbor-based consultancy that provides tech expertise for tech startups. Got an idea for a startup but don't know how to write code? Alfa Jango can help you out. Got a tech startup that needs help overcoming a hurdle in developing its product? Alfa Jango can get it over that hump. The bottom line is Alfa Jango can be that tech team or CTO a startup needs to become successful. "It's everything from founders with an idea but don't know what to do next to startups that already have a product but needed a new tech team to help them grow," Schwartz says. "And pretty much everything in between." Alfa Jango works with close to a dozen startups at any given time. It has worked with about 35 since its launch in 2008. Most of them pay for Alfa Jango's services, but sometimes Alfa Jango takes a piece of the client company as part of its compensation. To date Alfa Jango has taken stakes in seven local startups. Of those startups, two have received acquisition offers and another was acquired last year. Edmunds absorbed Carcode SMS, which created a website plugin that allows consumers to text automotive dealership staff and inquire about a specific car. Schwartz says the other two startups that have received offers turned them down to continue building up their technology. Alfa Jango now employs eight people and is looking to hire two more now. It moved to a larger office in the basement of the Tech Brewery earlier this year to accommodate its growth. 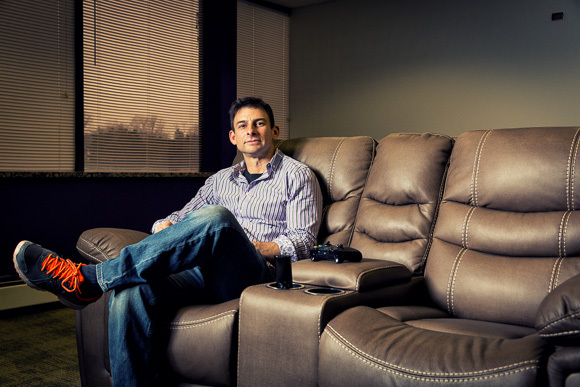 It has come a long way since its early years when Schwartz ran the company from his bedroom, working with just a startup or two. His work with his own startup inspired him to start Alfa Jango, mainly to answer this question: Does it make more sense to spend up to a year finding the right techie to bring onto your startup or hire that work out to spend that time building out the product? Schwartz still doesn't know the answer because it is unique to each startup. "It's not that one beats the other," Schwartz says. "It's that the answer wasn't really clear." Schwartz isn't alone. There are scores of tech entrepreneurs who work quietly behind the scenes to build up southeast Michigan's new economy. These impact investors serve as team members, mentors, and most importantly guides to how to build a successful startup. "That is probably one of the most important things," Schwartz says. "Having that guiding hand is extremely important." Often those guiding hands come from angel investors sinking money, time, and expertise into the startup. According to the Michigan Venture Capital Association, there are nine angel investor groups in Michigan (a 10th is starting soon) with 272 angel investors total, which is up 45 percent in the last five years. There are currently 214 startups in Michigan that have received funding from a Michigan-based angel group, a 206 percent increase in the last five years. "Angel investment is increasingly important in Michigan's entrepreneurial economy," Emily Heintz, associate director of the Michigan Venture Capital Assoication, wrote in an email. "Angel investors in Michigan support companies in a wide variety of sectors. Having a rich pipeline of angel-backed startups across many sectors creates diverse opportunities for later-stage investment by Michigan venture firms." Some of Metro Detroit's biggest names in business often play prominent roles as impact investors. Dan Gilbert of Quicken Loan is building his own startup ecosystem in downtown Detroit. Manoj Bhargava of 5-Hour Energy is funding a variety of innovative startups with his $100 million Stage 2 Innovations investment fund. There is even a documentary about his efforts called "Billions in Change." There are also number of other names that aren't as famous as Gilbert or Bhargava but are rockstars in local entrepreneurial circles. 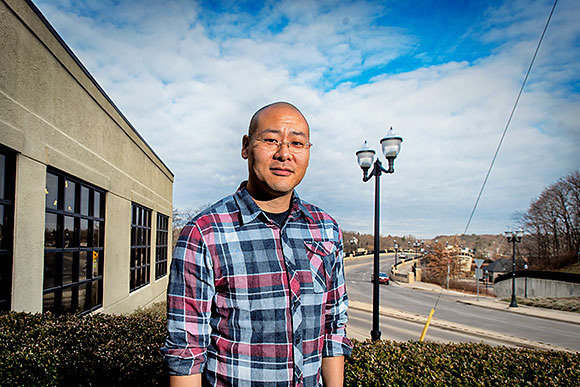 Dug Song, CEO of Duo Security, helped co-found things like Tech Brewery and A2 New Tech Meetup and is a mentor with Techstars Detroit. The Ann Arbor resident also serves as an advisor to a number of well-regarded, up-and-coming startups like Olark and Stratos. Fellow Ann Arborite Rich Sheridan is in the same boat. The CEO of Menlo Innovation, a software firm, has worked with a large number of startups out of his downtown Ann Arbor offices for years and serves on the board of local small business accelerator Ann Arbor SPARK. One of Menlo Innovations biggest wins came when Accuri Cytometers was acquired by Becton Dickinson a few years ago. Menlo Innovations helped design and develop the software for Accuri Cytometers' principal medical device technology, and took a small stake in the company as part of its payment. Sandy Kronenberg thirsted for the kind of guidance Alfa Jango and other impact investors porvide when he was building his first startup. Kronenberg turned Netarx, a network integration and services provider to large enterprises, from an idea in the mid-1990s to a multi-million-dollar tech firm a decade later. The Auburn Hills-based company was acquired by Logicalis in 2011 for $34 million. Kronenberg is quick to point out a few experienced hands pushing him in the right direction would have been of great benefit. "It's invaluable," Kronenberg says. "Quite honestly I didn't have any help when I started my first business. It was painful. I had to bang my head on the wall all by myself." Today Kronenberg works out of downtown Detroit. His newest startup, Service.com (formerly Locqus), helps homeowners find contractors, chat with them, hire them and pay them for home improvements. It has raised $3.5 million in a seed round and is getting ready to go national in 2016. He and his team have been co-working in the offices of Bizdom (a Detroit-based small business accelerator) for a little more than a year. There he helps mentor the startups working through Bizdom even as it winds down this winter. Kronenberg also is a partner with Ludlow Ventures, an early stage venture capital firm in downtown Detroit, and a mentor with Techstars Detroit. Kronenberg has made eight angel investments in startups in the financial, tech, and healthcare industries. For him, making good investments is about timing and opportunity. For instance, he is so busy building Service.com he doesn't have time to take on new startup projects now; however, when the time is right, he is willing to take on the right opportunity. "I'm opportunistic," Kronenberg says. "It's not about investing in a particular industry. It's about something I know really well and if its the right situation." Steve Schwartz is the managing member of Alfa Jango, an Ann Arbor-based tech consultancy that helps aspiring entrepreneurs build the software behind their startup. A lot of people see tech startups as the easy path to overnight success. In your experience, how long does it take for a startup to become an overnight success? I would say startups are probably the hardest path to overnight success in my experience. The vast majority of startups don't ever become outright successes; they either fail (if you’re lucky, some would say) or they languish in an endless state of almost-succeeding-but-not-quite-failing. To answer the question though, our product, CarcodeSMS, got acquired about nine months after we started building it. However, that ignores the three years prior that my co-founders and I had been building the predecessor to CarcodeSMS (called Carcode.me), working with customers, building out features, and learning the sales process for reaching our target market of car dealerships. If your goal is some level of financial success, there are probably easier, possibly faster, and definitely more certain ways to achieve it. But if your goal is to solve a problem, then financial success becomes incidental. Most startups start from the founder's kitchen table. When is the right time for that startup to move to a co-working space like Tech Brewery? Every startup has their own unique set of circumstances, so it's hard to say. When I first started Alfa Jango, I worked out of my bedroom for the first year and a half until I eventually realized I could go several days waking up, working, and going to bed without actually getting dressed. I knew at that point I needed to change my routine to something a bit more sustainable. I then started working out of coffee shops to get me out of the house. But that led to issues with uncomfortable chairs, copious amounts of coffee, and inconvenient lunch breaks having to pack everything up to leave for lunch. That's when I made the leap to working out of the TechBrewery co-working space, and it was a few months after that when I realized I needed a more permanent office and a place to more conveniently take phone calls. What technology are you most looking forward to seeing develop that is just getting started now? I think the most obvious answers include machine learning, artificial intelligence, and augmented reality, among others. To me, I'm less excited about the technologies themselves and more excited about the potential applications. There is so much data around us, and so many ways that we could learn from it and interact with it (or even more exciting are the things we could learn from novel interactions). But one of the largest hurdles that we face as engineers and developers using the latest technology to solve problems in new ways, is the practical limitations such as cost and computing power required to provide those solutions. So, while announcements for advances in some new technology happen weekly, almost daily, it’s the announcements that some existing technology is now available at a lower price (which usually follows those former announcements of advances in technology by a year or more) that excite me the most. You have walked away with a large check after one of Alfa Jango's startups was acquired. How should people fortunate enough to get a check like that spend it? I would never be able to tell someone else how to spend their money, since everyone's situation is different. I know that I’m in the startup game because I love finding solutions to problems, and startups are a good way to execute on those solutions. That’s why a significant portion of my money has gone back into startups, to help keep our local startup community thriving and continue to support the process of solving problems.